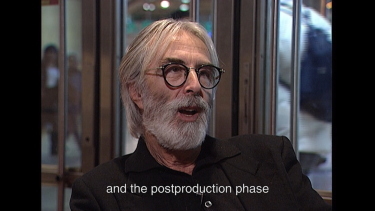 One of the world’s most influential and provocative filmmakers, the Academy Award–winning Austrian director Michael Haneke diagnoses the social maladies of contemporary Europe with devastating precision and staggering artistry. 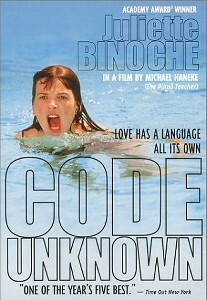 His 2000 drama Code Unknown, the first of his many films made in France, may be his most inspired work. 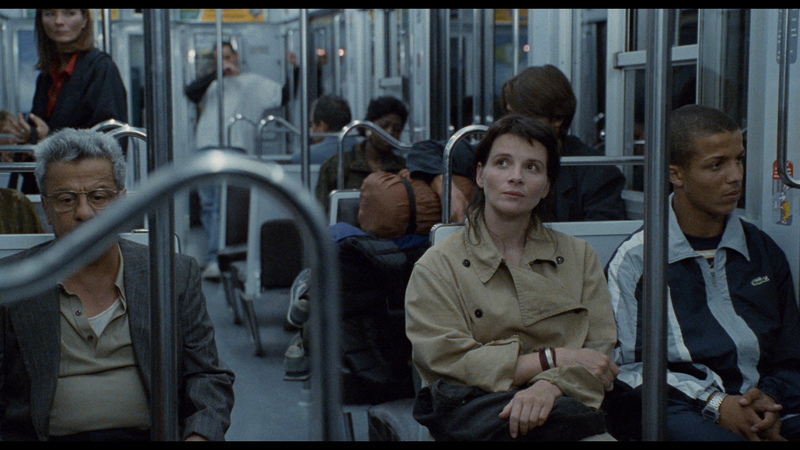 Composed almost entirely of brilliantly shot, single-take vignettes focusing on characters connected to one seemingly minor incident on a Paris street, Haneke’s film—with an outstanding international cast headlined by Juliette Binoche—is a revelatory take on racial inequality and the failure of communication in today’s increasingly diverse European landscape. 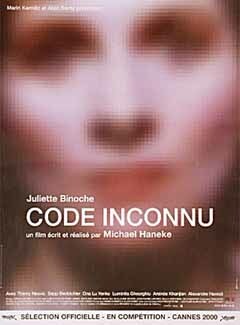 Aptly subtitled "Incomplete Tales of Several Journeys," the fifth feature by Austrian director Michael Haneke (2000, 117 min. 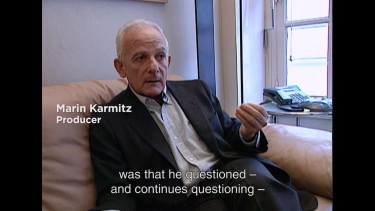 ), his best to date, is a procession of long virtuoso takes that typically begin and end in the middle of actions or sentences, constituting not only an interactive jigsaw puzzle but a thrilling narrative experiment comparable to Alain Resnais' Je t'aime, je t'aime, Jacques Rivette's Out 1, and Rob Tregenza's Talking to Strangers. 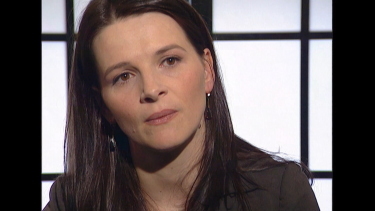 The film's second episode is a nine-minute street scene involving an altercation between an actress (Juliette Binoche in a powerful performance), her boyfriend's younger brother, an African music teacher who works with deaf-mute students, and a woman beggar from Romania; the other episodes effect a kind of narrative dispersal of these characters and some of their relatives across time and space. 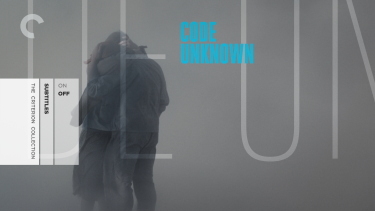 ADDITION: Criterion - Region 'A' - Blu-ray October 15': To think we existed on these muddy SD transfers years ago. Wow. 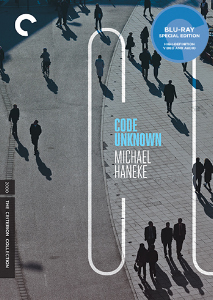 The new 1080P of Haneke's Code inconnu is way beyond my expectations. It is described as a "new, restored 2K digital transfer, approved by director Michael Haneke." Detail comes alive with depth and tighter, richer colors - more information in the frame and an, overall, stunning upgrade. The old SDs comparatively look like there was Vaseline smeared in the lens. 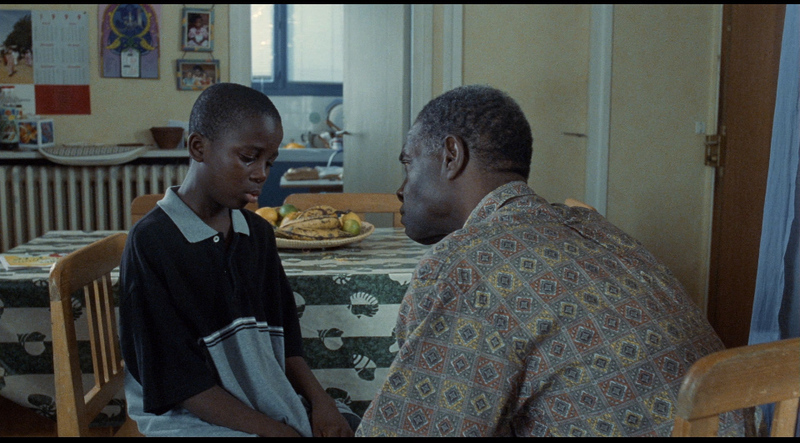 We get a wonderful film-like image (shot in 35mm) on a dual-layered BD disc with a very high bitrate. My words can't speak louder than the screen captures below. 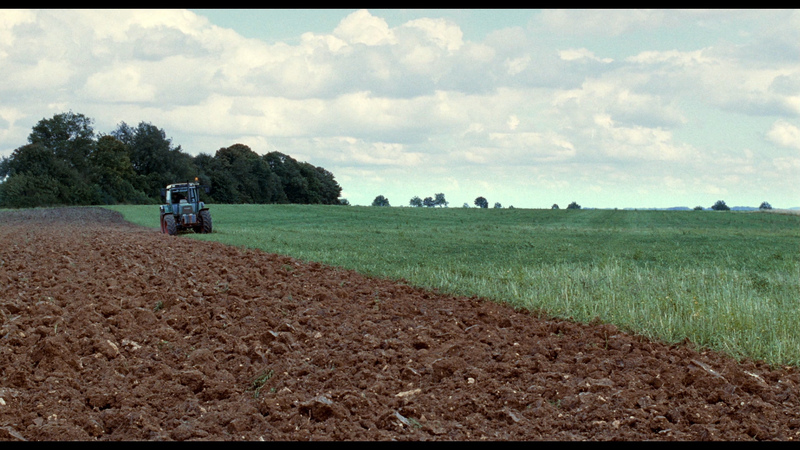 The audio is not to be outdone - Criterion use a very robust DTS-HD Master 5.1 (24-bit) at 4038 kbps in the original French. 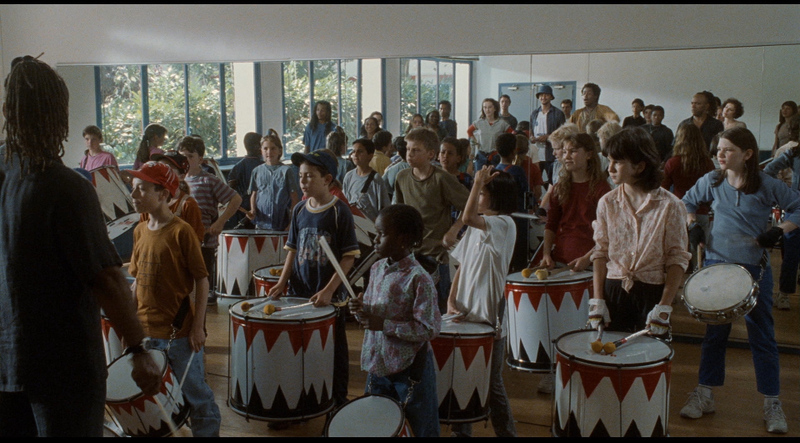 Yes, the drums are thunderous and all the film's sounds from subtle to overt are rich, deep and... perfect via the uncompressed. The score is credited to Giba Gonçalves - founder of Batala in Paris in 1997. Described, by Wikipedia , as a Bahian percussionist with links to Ilê Aiyê, Olodum, Muzenza, Male Debale, Jimmy Cliff, Tupi Nago, and Kaoma. Batala currently has chapters in over 25 cities in 15 countries on 5 continents and a worldwide membership of over 1,000 percussionists. It sounds very impressive - in fact, I replayed the final sequence - simply for the sound quality. 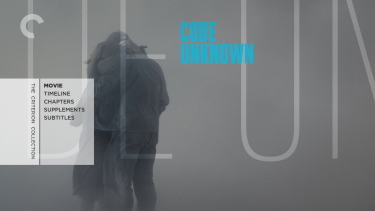 Criterion add optional English subtitles ion their region 'A'-locked Blu-ray disc. 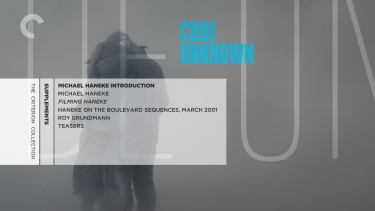 Criterion add quite a few important extras starting with a 5-minute introduction by Haneke from 2001 - as found on the Artificial Eye DVD - as is the almost 1/2 hour Filming Haneke, 2000 making-of documentary featuring interviews with Haneke, actor Juliette Binoche, and producer Marin Karmitz, as well as on-set footage of cast and crew. 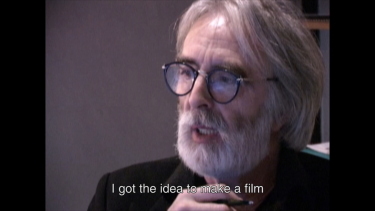 I had not seen the 2001 12-minute interview from 2001 in which Haneke discusses the filming of the boulevard sequences. 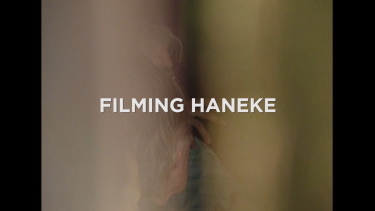 new and produced by Criterion are a 29-minute interview with Haneke conducted in Windigsteig, Austria in August 2015. 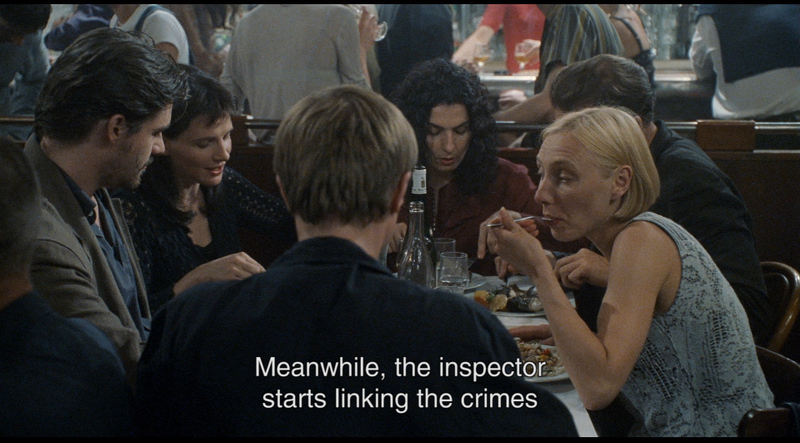 It has English subtitles. 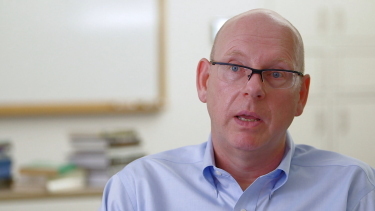 Also by Criterion is a new, 24-minute, interview with film scholar Roy Grundmann, editor of A Companion to Michael Haneke, and was conducted in Boston in August of 2015. 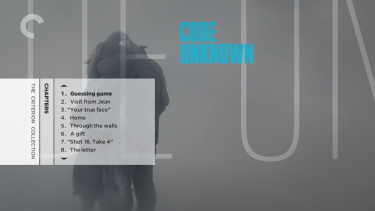 There are three 'Teasers' for Code Unknown and the package contains a liner notes booklet with an essay by critic Nick James. 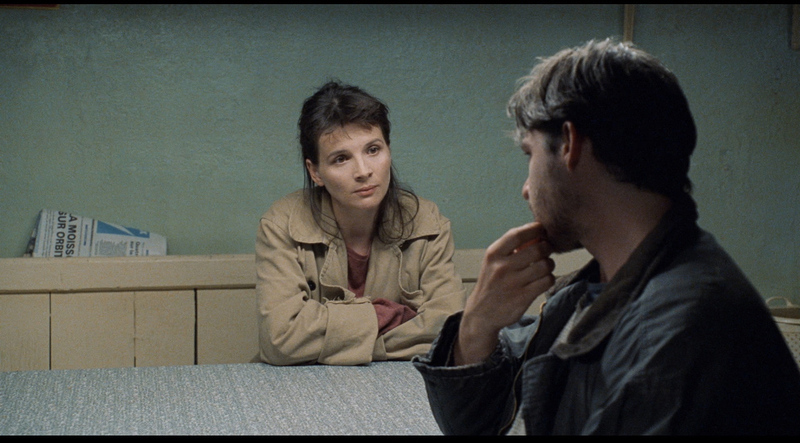 Brilliant film. Brilliant package. Our very highest recommendation. 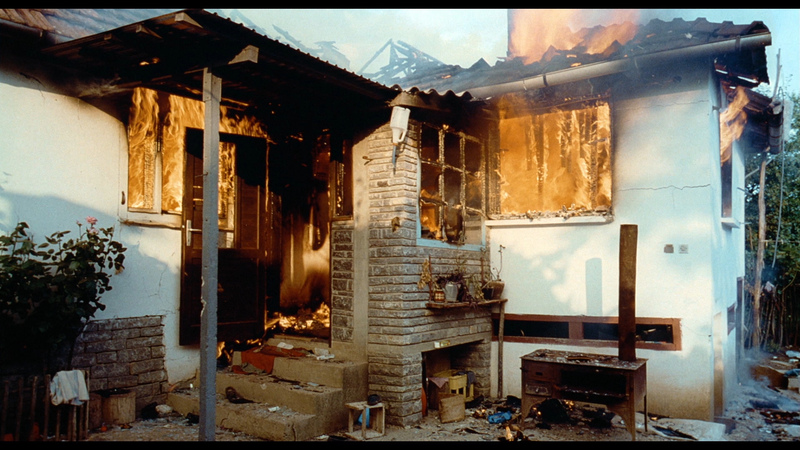 If you had only seen this on DVD - it will be like seeing the film for the first time with the powerful a/v experience. Order with extreme confidence. 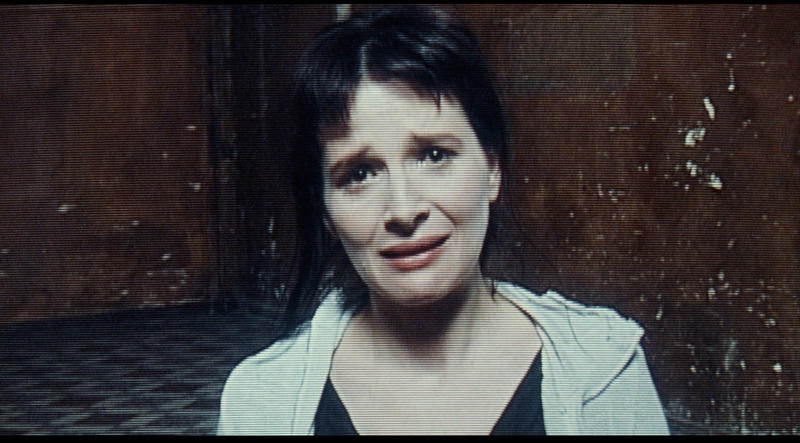 "This (The Artificial Eye) is a port of the French mk2 DVD. 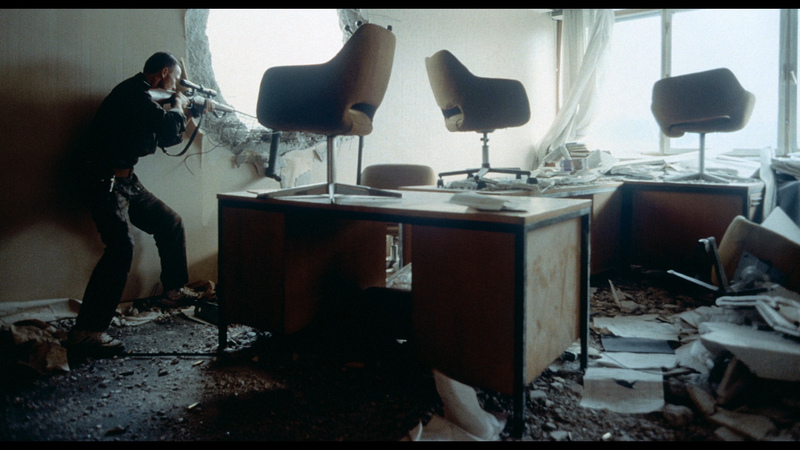 It's a crisp anamorphic transfer with moderate film grain and slightly cool colors; there are no blemishes to the print apart from rare instances of dust spots. 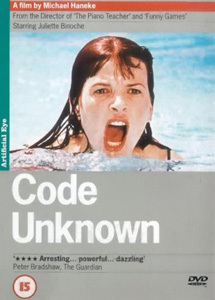 The extras are very good, especially the Making Of documentary, which reveals the care and attention to detail put into the film. This is no doubt better than the Region 1 edition by Kino, reviews of which indicate it's non-anamorphic, suffers from print damage, and is a PAL-to-NTSC transfer." The bitrate does indicate that the Kino was taken from a PAL source and examples of the "ghosting" are below. The Kino is also badly cropped on the left edge. Everything is superior on the Artificial Eye, and this is obviously our overwhelming recommendation. NOTE: Some individuals without incremental zoom on their DVD have noticed the subtitles drift below grade on the Artificial Eye disc. Be warned.